The main works of the concert come from two great Romantic composers: the Frenchman Camille Saint-Saëns and the German Robert Schumann. Saint-Saëns, who loved to travel, fell completely in love with Northern Africa and his Suite algérienne is inspired by the composer’s first trip to Algeria. Schumann completed his symphony Rhenish, however, when he was working as a music director in Düsseldorf, which is located in the valley of River Rhine. 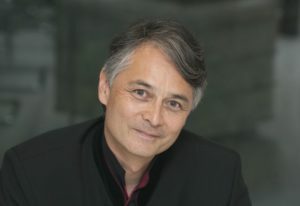 Jun Märkl, the German-Japanese conductor who has stood in the spotlight on stages all over the world for decades, will give his first concert with ENSO. He has conducted at several European opera theatres since the 1990s, including the Vienna State Opera, the Berlin State Opera, the Bavarian State Opera, and Semperoper Dresden. He has been the principal conductor at the Orchestre National de Lyon, the MDR Leipzig Radio Symphony Orchestra, and the Basque National Orchestra. He has also conducted many of the world’s leading orchestras. Concerts are produced by ENSO.